You have a choice of several different cruise routes on Sea Star, each promising to be a unique and unforgettable adventure. Each cruise is all-inclusive, can accommodate up to 12 guests and is scheduled to depart and arrive at approximately midday. If you are interested in exploring your departure or arrival city a little further, we will happily work with you to adjust your travel times back to Anchorage. We look forward to welcoming you onboard Sea Star for the Alaskan adventure of a lifetime! Price Includes: Alaska Railroad train ride between Anchorage and Seward, and/or Anchorage and Whittier is included in the cost of the trip. ** Note: All transportation to and from the vessel Sea Star is the sole responsibility of the client and is not a part of or included in the cost of the cruise trip. All guests of Sea Star on the Inside Passage adventure are responsible for their travel arrangements to and from the vessel. Rate for cabin 1 is based on per person single occupancy. 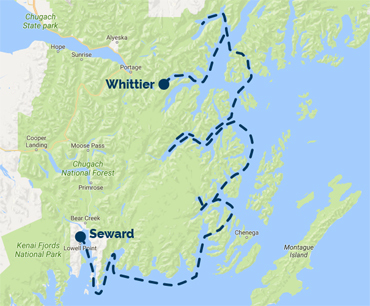 Train ride between Anchorage and Seward or Whittier, and commuter airfare ticket between Homer and Anchorage, are included in the cost of the trip. 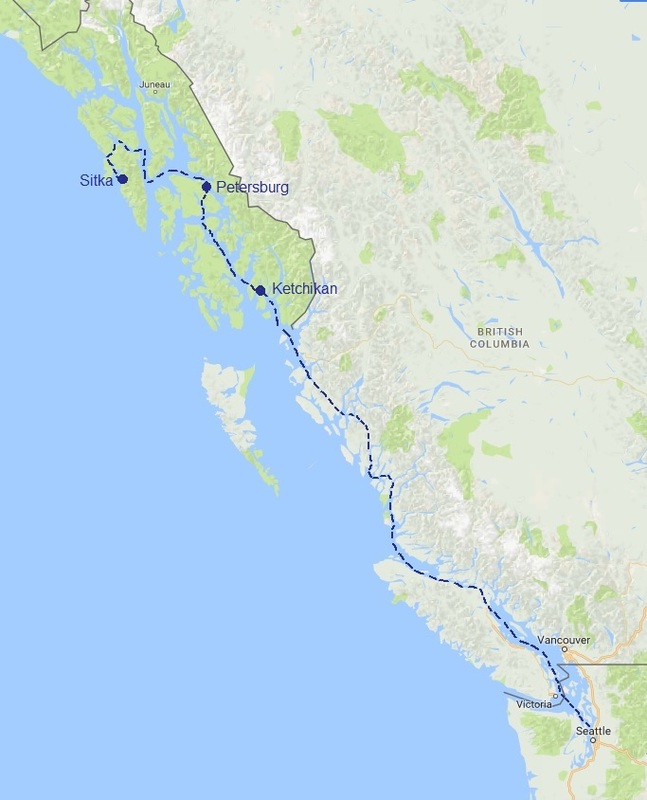 Please Note: Even though it is extremely unlikely, last minute bookings with North Pacific Expeditions may not guarantee ticket availability aboard the Alaska Railroad train between Seward and/or Whittier. If this should occur, we will arrange alternate travel arrangements for you between Anchorage and our ports of call. We do offer Outfitter and Research charters. For outside operators that would like to book for a workshop or research purposes please contact the office for more information. To inquire and make a reservation for other cruises and charteres, please call or (206) 886-8107 or visit our Reservation Inquiries page. * Refer to North Pacific Expeditions Terms and Conditions in reference to the applicability and limitations of sales, discounts and/or promotions offered by NPE. ** All transportation to and from the vessel Sea Star is the sole responsibility of the client and is not a part of or included in the cost of the cruise trip. 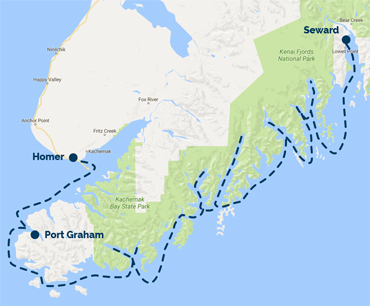 All guests of Sea Star on the Inside Passage adventure are responsible for their travel arrangements to and from the vessel.